Our HTML5 & CSS3 course in Durban provides you with the skills to use HTML5 and CSS3 effectively. This course will be practical, instructor lead training working with basic through advanced techniques. You will learn how to use HTML5 and CSS3 to improve your current web design skill-set. We will first go over all the new HTML5 tags that is available for us to use today and look at all the possibilities of these new tags. Then we will go over all the new CSS3 properties available and what we can do with them. We will then start designing a complete website from start to finish using HTML5 and CSS3. You will also learn all about HTML5 Audio and Video. We will also look at CSS3 Animations, new font properties in order to use any font we want and how to convert any font to a web font. This course also provides the students with the ability to design a complete website from start to finish using the latest specification in web design. You will also learn all about vendor prefixes for different browsers and how to test your code on all of them. Finally we will look at how to upload our website with fonts, videos and everything else we use in the design. It is a great class to enhance your skill-set. You will be amazed with the beautiful design you will have at the end of your course. This is definitely a course for anyone wanting great website designs and web designers wanting to take their skills to a much higher level. If you are serious about web design then this HTML5 Course is definitely for you. Web designers wanting to learn the power behind HTML5 & CSS3. Web designers wanting to improve their current skill-set. Students that already completed the Introduction to Web Design Course. Students that want to learn the latest in Website Design. In this HTML5 course we will assume that you have a working knowledge of HTML and CSS. We will assume you already completed the Introduction to Web Design Course or have previous experience. You should also have a basic working knowledge of either Windows or Mac operating systems. We are not using basic HTML or CSS in this course and only focus on the new tags and properties available. Latest in Web Design Trends. Why Start Using HTML5 & CSS3 Today? Why Do We Need HTML5 Audio & Video? We have the best HTML5 & CSS3 Course available in Durban. 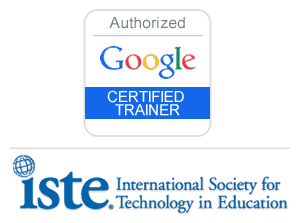 Our course material is Adobe EX certified. Learn HTML5 the practical way. Learn the latest in Web Design. 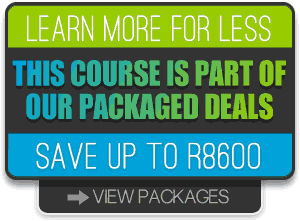 For this HTML5 & CSS3 Course in Durban we supply detailed course notes and reference text. We try to provide sufficient supporting material so that you can return to your work place with sufficient confidence to permit further learning. You also get all course activity and files on a DVD disc at the end of your course. There is nothing worse than leaving a course and feeling left on your own. We like to ensure our customers have all the support and backup they need which includes 90 days unlimited support by phone or email. You also get lifetime support through our Resource Centre. 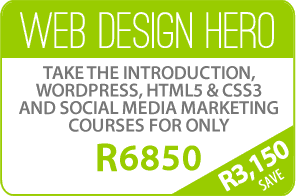 You can also sit in again for the HTML5 & CSS3 Course in Durban for free, within a year if you feel you need a refresher.